Thanks to the efforts of our development team, sponsors, and support team, we have just released the Multiple Event Registration (MER) for Event Espresso 4. What is Multiple Event Registration? The premise behind this great add-on is that the easier it is for people to register for an event, the more events they are likely to attend. 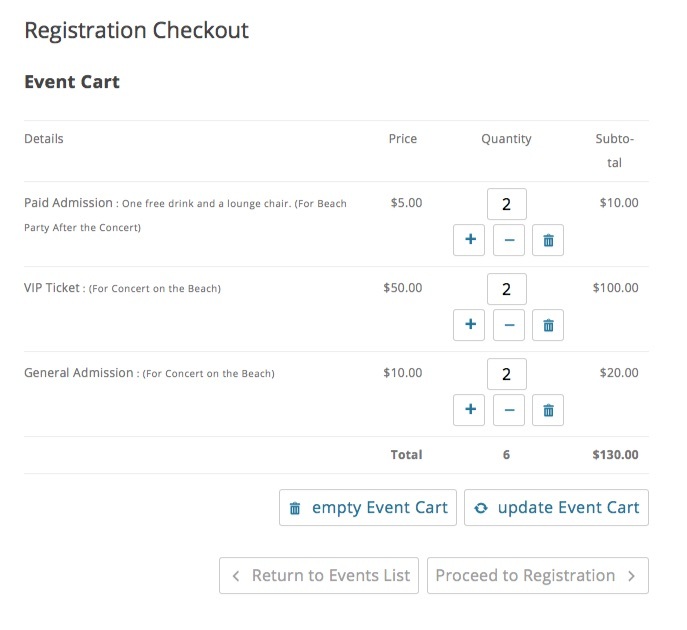 With the Multiple Event Registration add-on, attendees can register for several events at once and even add additional attendees to any of the same events–in the same checkout process. Additional attendees also get the customized registration form as the first/primary attendee. Purchase the Multiple Event Registration for Event Espresso 4, also included in the EE4 Everything License. The Multiple Event Registration add-on is super easy to use. 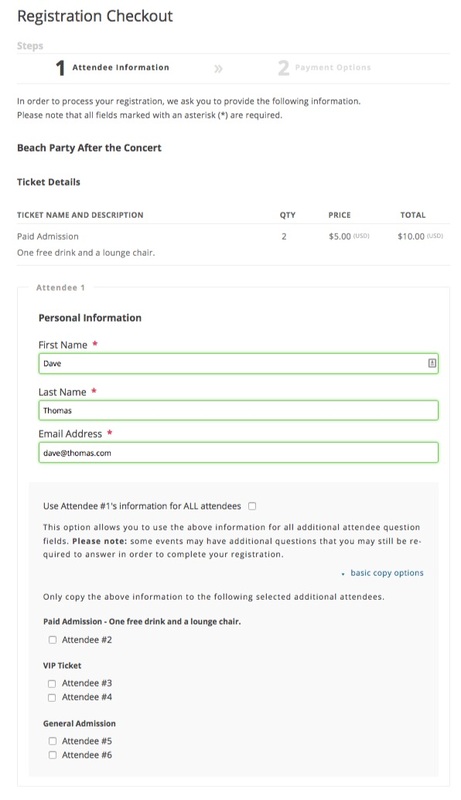 Just install the plugin on your site, then the EE4 ticket selector and registration system is automatically updated to allow registrants the ability to add events to an “Event Cart”. Going forward, your customers will be able to add multiple events to their cart and checkout in a single, streamlined registration. 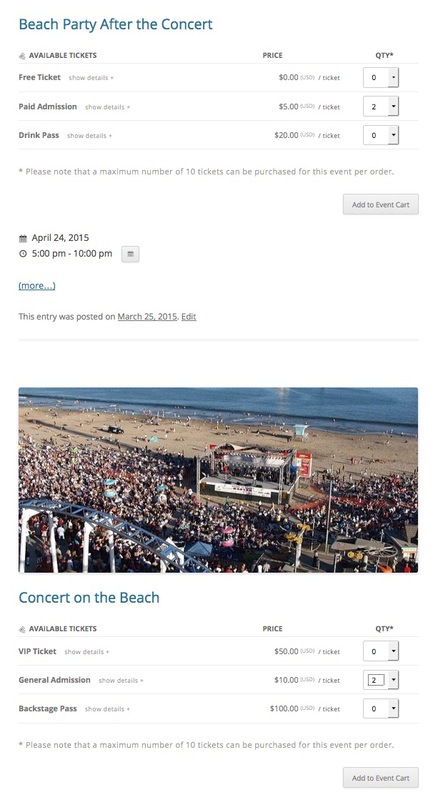 Customers are shown a list of events to register for, in which tickets can be added to the “Event Cart”. Customer adds events to their cart, then checks-out. Additional tickets can be added/removed in the cart. Customer is taken to a single registration page for all of the events in their cart. Customers can reuse information from the first form, across all registration forms on the page, or pick and choose which form data to reuse. After the registration forms are completed, the customer is taken to the payment page to finalize the registration. That’s it! 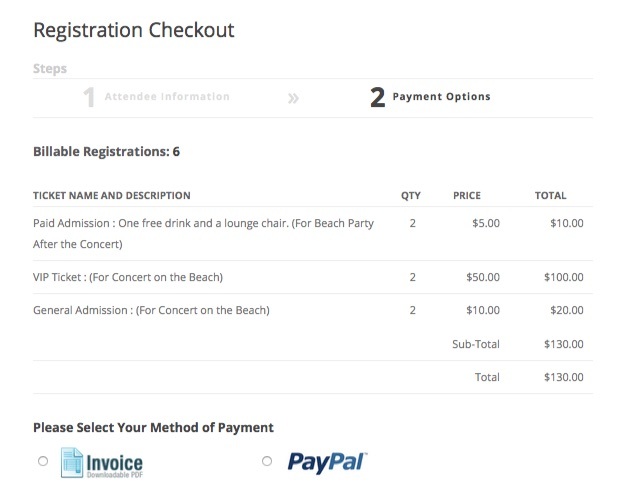 The customer is registered for as many events as they want in one checkout. Purchase the Multiple Event Registration add-on for Event Espresso 4.